We kept our first Orpington chickens in 2008 with just a couple of birds, but as the rest of you know it never ends there! In 2010-11 we travelled the country to collect birds from some of the UKs leading Orpington chicken breeders and exhibitors to add to our existing stock. In the following years we have built what we believe to be the largest collection of large fowl Orpington chickens in the United Kingdom. We have all the breed standard colours, most of which are of exhibition quality, as well as many non standard colours which we have developed to a very high standard. 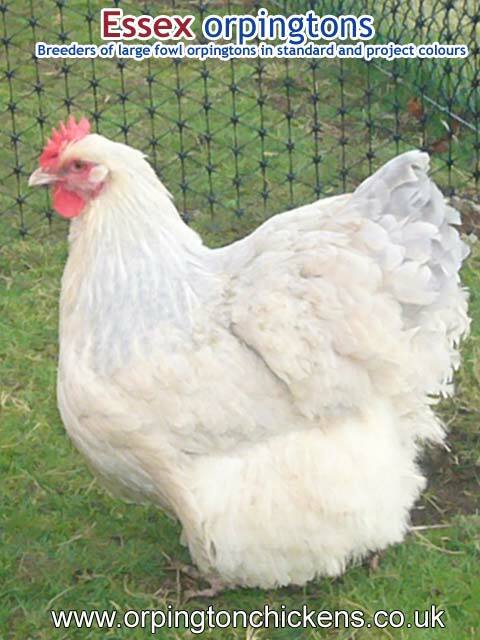 With a very docile temperament and striking good looks the Orpington chicken has become a very popular garden bird. The fact that they don’t tend to jump fences or fly out of pens due to their size and weight is another added bonus for the home hen keeper!! The Orpington chicken are not prolific egg layers but will still give 150/200 medium sized light brown eggs during the first year.As with all chickens this will decrease year on year. 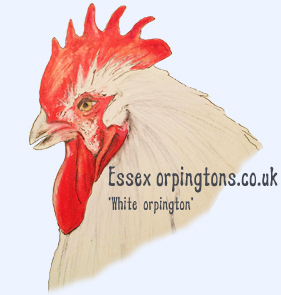 The enthusiasm shown to our previous Orpington chicken website has led us to create this new site, which will allow us to post many more images and gives us the platform to provide much more information regarding Orpington chickens as well as our topical events. As well as our extensive breeding stock of over 250 birds, we have a few sexed Orpington chickens from our 2015 breeding season that will be made available in early springtime. We will soon begin hatching our 2016 offspring in most of the colours on our website.This year however we will be concentrating on improving the quality of our flock by very selective breeding which will mean a limited amount of growers made available to the public. Also for 2016 there will only be a very limited amount of hatching eggs available.We plan to resume breeding and supplying hatching eggs eggs in the 2017 season. 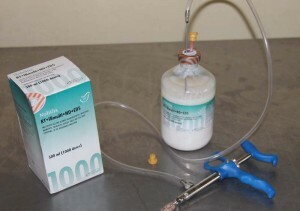 From 2016 Essex Orpington’s has taken the step of vaccinating all offspring against IB, EDS, etc… with a multi-vaccine from Nobilis Laboratories as well as vaccinating for mareks and coccidiosis. This will assure that no challenges affect the growth and development of the Orpington chickens which is vital in achieving the maximum size, feather quality and general good health. This also gives peace of mind when integrating new birds with your existing flock. Essex Orpington’s is very proud to have been the first in the UK (to our knowledge) to develop the wonderful colour of Lavender Isabel in large fowl orpingtons. Through our hatching eggs this colour is now established throughout Europe and America. We will continue to enjoy the challenge of genetics in developing more wonderful colours on these beautiful Orpington chickens and sharing them with you. Whilst we are happy to list and show pictures of some of the Orpington chicken project colours in their development, we are not prepared to sell eggs or birds from certain colours that we think still have much room for improvement and awaiting confirmation of breeding continuity. Type: Body deep, broad and cobby. Back nicely curved with a somewhat short, concaved outline. Saddle wide and slightly rising with full hackle. Breast broad, deep and well rounded, not flat. Wings small. nicely formed and carried closely to the body, the ends almost hidden by the saddle hackle. Tail rather short, compact, flowing and high, but by no means a squirrel tail. Head: Small and neat, fairly full over the eyes. Beak strong and nicely curved. Eyes large and bold. Comb single, small, firmly set on head, evenly serrated and free from side sprigs. In the black variety, comb may be single or rose, the latter small, straight and firm, full of fine work or small spikes, level on top (not hollow in centre), narrowing behind to a distinct peak lying well down to the head (not sticking up). Face smooth. Wattles of medium length, rather oblong and nicely rounded at the bottom. Ear-lobes small and elongated. Neck: Of medium length, curved, compact and full with full hackle. Legs and feet: Legs short and strong, the thighs almost hidden by the body feathers, well set apart. Toes, four, straight and well spread. Plumage: Fairly profuse but close, not soft, loose and fluffy as in the Cochin or close and hard as in the Game Fowl. Female: The general characteristics are similar to those of the male. Her cushion should be wide but almost flat, and slightly rising to the tail, sufficient to give back a graceful appearance with an outline approaching concave. 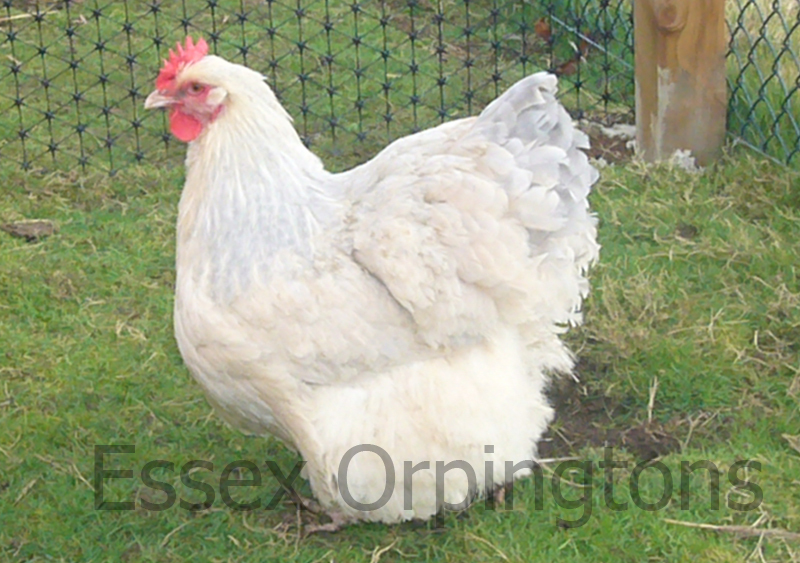 More information on the Orpington chicken can be found here on this website. If you have had dealings with us, please leave us a review we would love to hear from you. Click here to leave a review. Massive thanks to Steve, we bought birds from Steve 4 years ago and also 2 years ago, life sometimes gets in the way and we lost touch. Our birds have been doing fine but recently one of our girls got a little sick. We called Steve about 3 weeks ago, he has been advising us along the way and we now have all our girls healthy again, we thought we were going to lose her. We appreciate all your help and dedication, thanks again Steve! I was impressed by the wide choice of colours available and collected 3 growers last week from Olly, who clearly knows so much about rearing hens.. They are lovely birds in good condition, all kept in clean, safe pens and able to display natural behaviours. I chose a chocolate cuckoo, a buff and a lavender from the wide range of hens. The girls settled well and I have no doubt that they will grow into big, blousy Orpingtons. Thank you Olly! We drove 4 hours to collect 2 orpington hens. They are back home now and settling in very nicely. I can't recommend Olly highly enough. The communication before our visit was excellent and his patience on a very hot day whilst we choose our lovely girls was amazing! All the chickens looked so healthy and there were many colours to choose from. We didn't come away with just 2 orpingtons, couldn't resist a 3rd one, a little bantam who is so cute. Thanks again Olly for all your help. We will definitely be back! 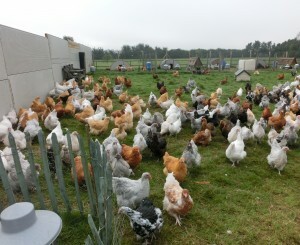 I contacted Essex Orpington's as I wanted about 10 hens in various colours. I spoke to Ollie about what I wanted. I was happy for him to send me a selection which he did, but not only did he select me 10 of the most beautiful hens and 2 magnificent cockerels I have every seen, he also arranged a courier to deliver them as I am in Norfolk. They arrived 5 days after my first conversation. Excellent service. 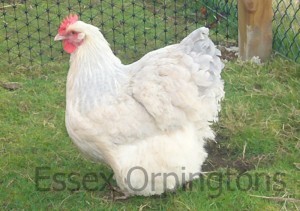 I will be recommending Essex Orpington's to the Norfolk folk. Thank you so very much I am thrilled with my birds. We collected our three little hens today, and we are really pleased. The hens are all vaccinated and in great condition, with plenty of room to roam on fresh grass, with places to sit in the shade,. There's plenty of choice of colours, and it's clear from talking to Steve that he loves all his animals! Really lovely to see, and have no hesitation in recommending!! My hubby took me there last week to collect 3 beautiful hens and a very handsome fella so pleased such a lovely temperament too. Best Mother's Day gift ?? Steve was really helpful he knows birds ???????????? We picked up our 2 Black Orpingtons today and we are delighted. I have never seen so many Orpingtons which were all gorgeous, well cared for and we saw around the flock also which was amazing. Steve and his assistant were super, very helpful and knowledgable. I can't recommend them enough for Orpingtons and we will be back. Thank you for Bumble and Bramble, they are gorgeous. Yesterday we had a lovely experience of picking up 4 lovely orpingtons 2 silver lace a buff and a chocolate to add to our two girls gertie and daisy. We turned up unexpected looking for essex orpingtons. We called Steve and he directed us to him, he was really helpful and showed us his entire flock even though it was quite late in the day. Steve entire flock are all well cared for and beautiful birds in excellent condition. We only wanted 2 more but couldn't resist. Wish we had more room for many more. Today the girls are all happy in there new home and the chocolate laid an egg this morning. We now are naming them they are all quite tame already. Thank you Steve for your time and patience. And your knowledge, we learnt a lot in our short visit. I think we will be back to see you soon. Thanks Kim& Barry . 100% Fertility Hatching Eggs by Post! This was my first time purchasing hatching eggs by post. They arrived promptly and were very well packaged. After leaving them for 24 hours as recommended we placed our 6 eggs in our incubator and 21 days later we have 6 beautiful chicks. 100% fertility rate, 100% hatch rate - fantastic! After a distressing experience of losing one of my chickens I chose to replenish stock with 3 of these beautiful birds. Well, the support, help and guidance was over and beyond and gratefully received. The birds are gorgeous, 2 blues and one black, and of super quality. I left too with a bit more knowledge, much needed as such a newby. Thank you Steve ??? ?